• Jan Lee discusses a report that reveals how rising sea levels due to climate change will impact valuable estuaries in California’s Santa Cruz county, causing significant damage to the agriculture and tourism industries. • The cost to provide more resiliency to the area will be complex and costly. Who will foot the bill? And how can disaster relief organizations contribute to protection measures, which are recommended in the report? • According to a recent poll, it seems that most Americans don’t think climate change will affect them. Here’s why. 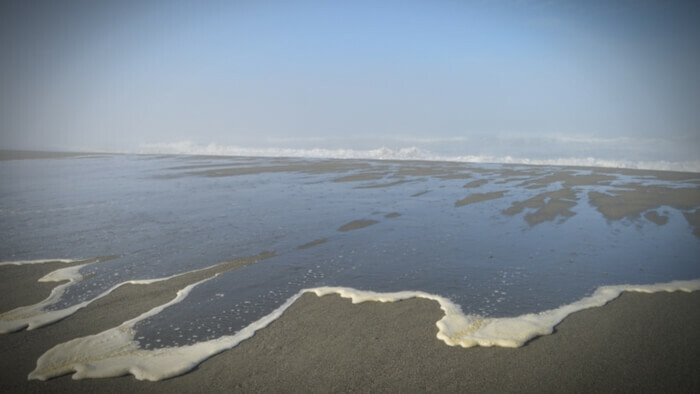 Global warming is a major concern for communities along California’s sweeping Pacific coastline. More than 600 miles of western shoreline stretches between the state’s north and south boundaries, pocketed by old-growth forests, carefully preserved beaches and small, historic towns that serve as magnets in California’s thriving tourism industry. The world’s sixth largest economy realized more than $125 billion from tourism in 2016 alone, driven in part by the throngs of tourists that head each year to landmarks like Disneyland in the south and San Francisco’s historic Pier 39 two-thirds of the way up the coast. No region however, is a more iconic symbol of California’s carefully sheltered tourism industry than Santa Cruz County. Situated barely 90 minutes south of San Francisco and framed on the west by a curve of towering cliffs and dotted by sandy beaches, the county is proof of the fact that small localities can and do have a big economic punch. As the state’s second-smallest county, Santa Cruz reaped $700 million in tourism revenue in 2000 and recorded one million visitors. Its 29 miles of beaches and historic boardwalk were a large part of the county’s draw. But according to a report published by the Central Coast Wetlands Group at the Moss Landing Marine Labs, those vital resources will be at increasing risk in the decades to come. Sea level rise and climate change will have a greater say not only in how its coastline is affected by storms but in how the county manages its valuable resources. Increasing storm surge, say the authors of the Santa Cruz Coastal Climate Vulnerability Report, doesn’t just mean that central California beaches will be harder to access, but delicate estuaries, which are key to the county’s agricultural and tourism industries, will be at a higher risk of flooding and degradation. Read the full article about the costs of rising sea levels by Jan Lee at TriplePundit. Climate Change Focus: too little, too late? It seems like it was just yesterday when we started to pay attention to an inconvenient truth, exhaustively analyzing the changes in environmental patterns. Whether most changes are man-generated or not, the climate system seems to be moving beyond the patterns of natural variability that allowed our modern society and world economies to grow and flourish. But what are those parameters and is there anything that individual donors can do to help to address the problem, or are we doing too little, our efforts too fragmented, and too late? The core parameters cited to show the path of climate change, include: Global mean surface temperature, Sea-level rise, Ocean and ice sheet dynamics, Ocean acidification, and Extreme climatic events. Some experts explain there are significant risks that many of the trends will accelerate, leading to abrupt or irreversible climatic shifts. Others think that our society faces challenges, in other areas, which are more urgent to address. This week at Giving Compass, we will have a special focus Climate Change, aggregating articles, tools, and resources from third parties, combined with some original pieces that will help donors chart their journey by learning more about the topic, taking action giving time or money to organizations focused on this important issue and connecting with others on events and conferences. It is never too late, and we can be part of the solution. It does not need to be an inconvenient sequel... Can we address the urgent issues we are facing on global security, democracy, civil rights, food, jobs, workforce development and health care, among others, but also building sustainable economies while preserving the planet? It is never too late, and perhaps we can do it all. If you are ready to take action and invest in causes for Animal Welfare, check out these Giving Funds, Charitable Organizations and Projects related to Animal Welfare.